As Technical Art Director, I acted as the interface between development and content teams, and between prototype and production systems. I designed experimental processes and maintained high-throughput asset pipelines. Created fx sequencing system in the reactive programming paradigm. Users could run arbitrary scripts, mutate the transform hierarchy, and interface with Unity using in/out streams to chain player actions and gameplay events. Built a mark-based camera system that integrated into the conversation engine and provided fully-implicit or simplified controls to non-technical designers. Designed a scriptable system to create animation blend trees based on per-character scripts. The generators used inheritance and drove multiple layers of animation with minimal repeated data. 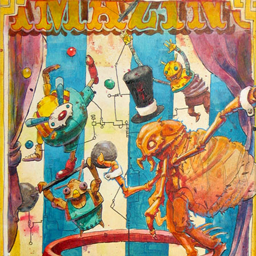 The same functions were used at runtime to drive in-game animation logic. Wrote asset import pipeline that handled non-joint animations, per-character mesh controls, prefab creation and reuse, UV indexing, tagging, and Asset Bundle data creation. This meant data was owned by content creators and allowed them to preview their work in-engine early and often. 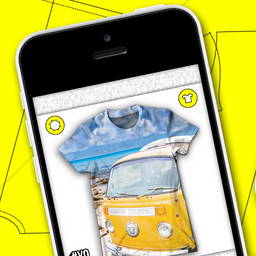 I worked as an automation contractor/consultant for the mobile on-demand fashion app Yoshirt, which prints and sews full-bleed t-shirts and other apparel. Created a set of Ruby scripts to connect to the order database, download user-submitted images, and build a manifest of output products. Created several manufacturer-specific Illustrator scripts that used the manifest to position, trim, and export the images based on a set of vector product templates. This replaced error-prone manual processes, allowed for overnight batching of orders, and reduced the number of approval/revision steps. I founded Mosojo with two other multi-disciplinary developers with the goal of creating an interactive content framework on mobile. We saw an opportunity to decrease iteration time for developers and users, and allow rich content to be shared as easily as static pictures and text. I handled client architecture and Unity tools coding, as well as some prototyping for proof-of-concept apps. 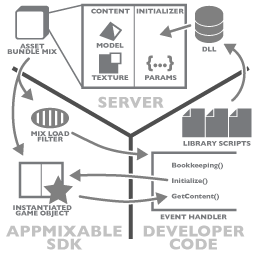 Created Unity scripts that enabled rapid asset creation and delivery by users and developers, using a set of asset bundles and metadata (mix). Wrote code to store client-side data about mixes, allowing users to keep attribution chains as they remixed and reshared content. Deeplinks and user tokens allowed new users' first experience with an app to feature custom content. Integrated analytics were provided using the same system. Created Rake tasks and in-editor wrappers, allowing developers to upload Unity component scripts in a DLL. JSON mix definitions for the default content were also created at upload time. 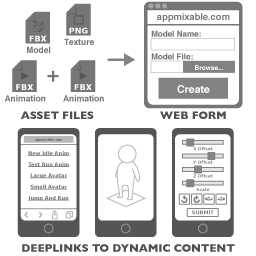 Designed and built the remote on-demand build engine that would recompile mix bundles when content or parameters changed (edited either by the developer or end user). Created client-side load/unload filters that triggered 3rd-party code events, initialized mix content, and connected it to the running app. Wrote the schema for mix definitions. These definitions were stored on the server, next to the bundles they created, enabling prefabs to be remade if the script DLL was updated. Created Unity tools that used C#'s reflection capabilities to inspect local prefabs, marking their properties for inclusion in the definition. As lead tech artist on the company's first Unity game, I was responsible for creating an asset pipeline that minimized modelling and rigging and enabled the 2D artists as much creative freedom as possible. 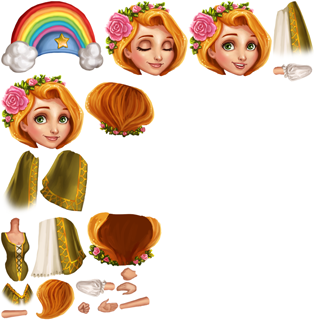 This involved porting existing assets from legacy Flash pipelines and creating a system to quickly create new characters and props. Created a pipeline that generated partially-rigged models from Photoshop files. An exporter script would generate and tag intermediate images from the .psd layers. Wrote a Ruby daemon that watched the export directory and cropped each image to its bounding box, then created an atlas for all pieces. All metadata was stored in MongoDB documents. Wrote a Python script that was used by a headless Maya instance to create billboard geometry from the generated metadata (shown here in Blender). Ported an existing manual rig-creation script to Python and automated it to pull values from the generated metadata. Drivers and their control-shapes were created for each sequentially numbered image in the atlas. The script also cloned the atlas material, giving real-time feedback as the UV offset-indices were applied. This allowed animators to keyframe per-mesh spritesheet animation. Wrote an export script and custom nodes attached to the UV-index drivers. This data was then added to the FBX file via a plugin. Wrote a simple model-importer editor-script to read this data when the FBX was loaded in Unity. This created the data structures needed to recreate the animation at runtime. I worked as lead tech artist with this engine (built on top Cocos2D) over the course of two games, one released and one that made it to the localized appstore submit stage. A large part of this process was balancing evolving product goals with pipeline complexity and the limited resources of early mobile devices. 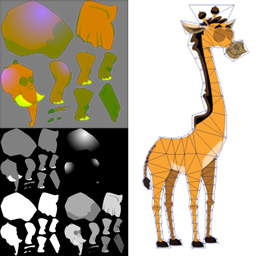 Created an animal shader that used a palette-lookup map to distinguish areas of independently controlled color, a value map to select a color fragment from a 1D color palette, and a pattern map to determine where patterns would appear on the animal. Packed pattern images into the RGBA channels of a meta texture, using the same color-lookup model as animals. Independent uniforms allowed pattern scaling and offset. Created custom tools that allowed viewing and tweaking the massive combinatorial space, saving artists time and reducing the content release cycle. Created a custom file format with the lead dev to store character vertex animations in a efficient way. Worked with a Georgia Tech professor to implement the Edgebreaker triangle prediction and compression method. Modified the engine for a second project to allow multiple silhouettes in the same mesh, creating a wider variety of character profiles. Created asset review and automated scheduling tools to ensure the Ghostbot outsourcing studio did not become blocked during iterations on the complex meshes and textures. I was brought on the CityVille team at an early stage to integrate some of the Flash PixelBender prototypes I had worked on, and eventually settled into the role of UI tech artist. I continued working on proof-of-concept prototypes for gameplay features, as well as streamlining the 2D asset and metadata pipelines for sprite-based animations. Used Flash's PixelBender pipeline to render character sprites using a UV-lookup texture. 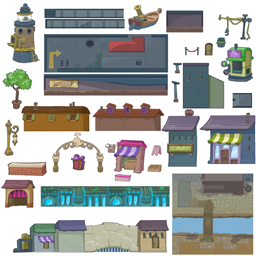 A range of textures were then applied to these sprites at runtime, allowing one spritesheet to be reused many times. Transitioned the team from SWF-based to programmatic UI, requiring new processes for exporting vector art, as well as automation and validation scripts. 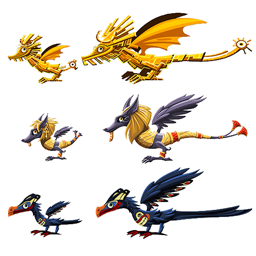 Created HTML5 tools to slice and optimize animations, as download size increased over the game's lifetime. 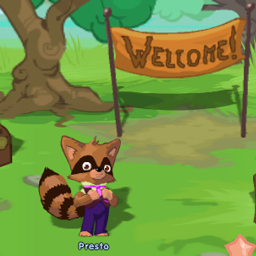 An online world for kids, Dizzywood combined early experiments in Flash 3D, chat-client functionality, and an XML-based level and event system. 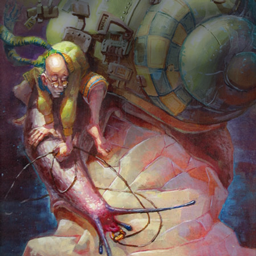 I started here as a production artist out of art school, and eventually moved into a lead artist position, where I worked to retroactively bring consistency to the many styles that had been used during the product's lifecycle. 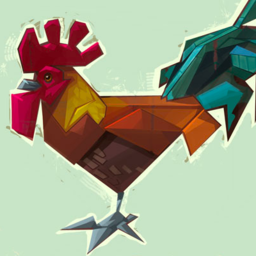 Designed characters that were animated using 3D motion data applied to Flash vector shapes. Used masks and shape-tweens to simulate profile shape changes. Created custom tools in Adobe Air to aid in pathfinding, minigame creation, and level design. 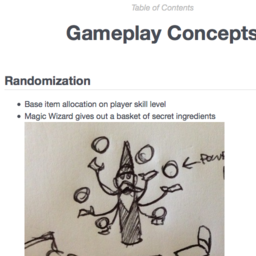 Wrote custom metadata to integrate character assets into the game. Player Avatars and NPCs used different rendering systems, the former being runtime-assembled, and the latter traditional SWF animations. Managed the many source and production files that made up the world. This was was a challenge, mitigated by careful file and directory organization. Continuous integration meant assets were never final, and had to be quickly located for editing. Created game areas and placed props manually, and later wrote custom layout tools that would generate the XML data for buildings, props, and NPCs. Finalized and broke down concept art into billboard assets that were then positioned to maintain the illusion of depth. Used palette changes and forced perspective to increase the sense of depth in the relatively shallow environments. A hobby project to create a custom game engine with a focus on live animation. Written in C++ (working toward not using any std library) and Lua. Wrote a system to load components at runtime from lua scripts and attach them to the init/update/render loop. GLSL shaders and materials are attached to models for renderable components. Created Blender-style view controls and virtual trackball for viewing objects. I created a personal wiki using Sinatra and Markdown because I wanted a zero-friction way to keep an editable record of my notes. I keep a moleskine with me, but never remember to review it. Having a browser-based version means I actually keep track of the ideas. Designed and coded an ultra-lightweight solution that did not rely on in-viewer editing, instead using Vim to edit pages. While I have transitioned into coding and tools, I started my career in illustration and continue to use the skills and training I learned as a production artist. Piece for my art school review portfolio. Acrylic on board. Style-test for the Siren comics anthology book. Digital. Style-test for children's book. Acrylic on board.